It’s hard to believe. It’s been 175 years since the book was published. Originally titled “A Christmas Carol. In Prose. Being a Ghost Story of Christmas,” Charles Dickens’ novella was published on December 19, 1843. An instant hit, it sold out by Christmas Eve. When it first became available in America in January 1844, it was priced at 6 cents in book shops in New York and Washington. 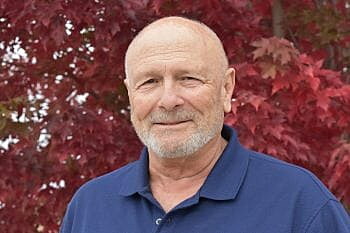 Over the decades, the story has become a holiday favorite, still being read by millions and performed in a variety of venues from stage plays to TV shows and even cartoons. 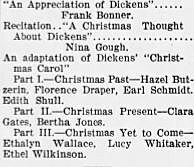 In 1904, young Frank Bonner presented “An Appreciation of Dickens” as part of the high school Christmas program in Missoula, followed by an adaptation of “A Christmas Carol” performed by nine fellow students. Richard Jones, who conducts Dickens London Tours, recently researched the seemingly endless versions of the story produced on film or TV. 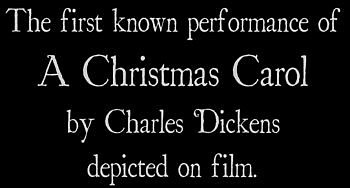 Other film adaptations followed in 1910 and 1935, but the one released in 1938 starring Reginald Owen as Scrooge became a mainstay for decades (still being aired on TV stations at Christmastime). MGM reportedly wanted Lionel Barrymore to play Scrooge, but he had become nearly crippled by arthritis and was unable to perform. Many critics have declared Alastair Sim’s 1951 portrayal of Scrooge the best film adaptation, ever. I won’t disagree, but I like both the ‘38 and the ‘51 versions as well. Among the likely and unlikely actors to portray Scrooge over the years have been Vincent Price, Frederic March, Basil Rathbone, Sterling Hayden, Albert Finney, George C. Scott, Jack Palance, Patrick Stewart, Kelsey Grammer and Jim Carey – not to mention Scrooge McDuck and Mr. Magoo. There is still one version I can’t wait to see. It was performed last year on BBC1 in London to critical acclaim – well, acclaim if one considers “wonderfully warped” to be acclaim. Bob Cratchit can’t seem to learn his lines, so prompting notes were placed everywhere on the set. There was as much drama going on backstage as onstage. You get the idea. Hopefully, it’ll be performed soon on this side of the pond. Hopefully, too, the wishes of Scrooge’s young nephew, Fred, will once again guide us through the holiday season and beyond. Hopefully we all may learn “to keep Christmas well.